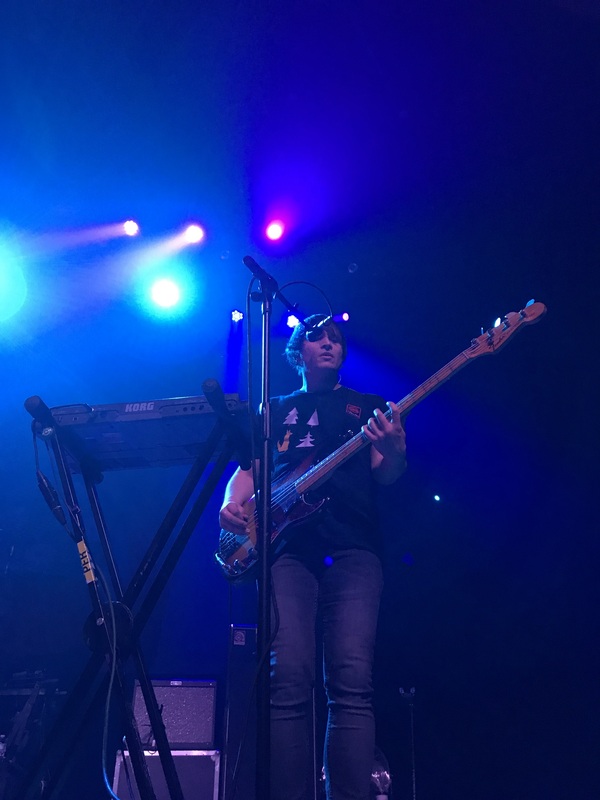 Matthew Murphy, lead singer of the Wombats, is a stark reminder that we all contain multitudes. On one hand, we have Murph, who comes across as a lovely, funny fellow in interviews, both with his fellow marsupials and alone. He’s apparently very happily married and wrote “Lemon to a Knife Fight,” the lead single off the upcoming Beautiful People Will Ruin Your Life, about an argument with his wife that he lost and lost badly. His stage banter with his bandmates, the hilarious Dan Haggis on drums and the infectiously enthusiastic Tord Øverland Knudson bringin’ the thunder, seems to indicate that they are a trio who enjoys each other’s company and are having a good time but they’re also very good at extending the invitation for you to join them for that good time. On the other hand, we have Matthew Murphy, the primary lyricist for the Wombats, who writes tunes that make him sound like the dude you see your friend talking to in the bar at 12:30 that you have heard about so you make it a point to make serious eye contact, purse your lips, and give a quick headshake because nah. 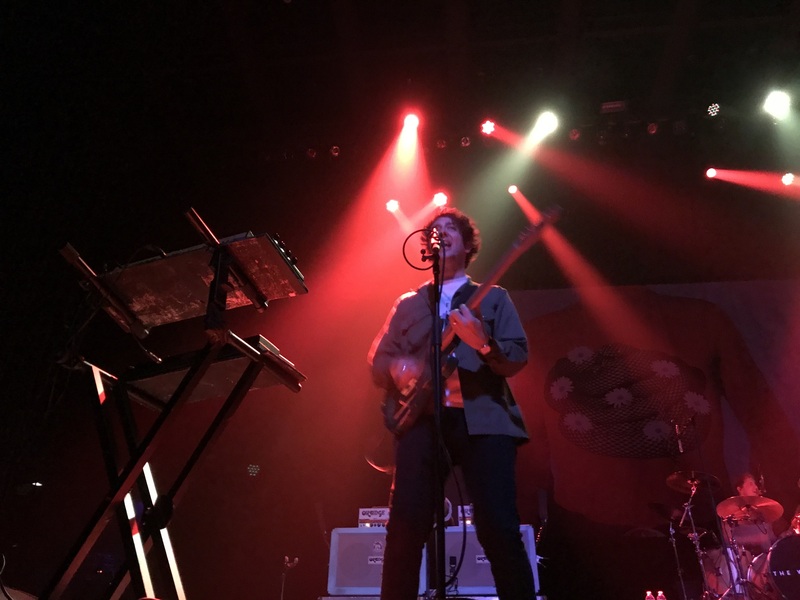 Sure, maybe, as Murphy and the crowd roared at each other last night during the spectacular “Give Me a Try,” it “could be gigantic” but it could, as they later acknowledged during a jubilant “Let’s Dance to Joy Division,” all go so wrong. This night’s Matthew Murphy, the fabulously British rock star with the Robert Smith hair, cheerfully confessed that he once fucked off to Barcelona for a week to get drunk on a public square and convinced himself his then-girlfriend was cheating on him with All The Dudes and then, omg the horror, wrote a catchy af, and I mean infinitely hummable, pop song about it. That blithe soul told The Pageant that story and I muttered “JESUS CHRIST” to Ms. JG,FE (wife of The Arts STL’s fearless Editor-in-Chief), who blinked and said that she thought this would be a fun review to read while a pit full of delighted folk bounced around to “Pink Lemonade,” the aforementioned catchy af pop song. I digress, though. Enough philosophy, let’s talk about the tunes. The first time I saw the Wombats, on tour for This Modern Glitch, they introduced me to The Royal Concept, a fantastic slice of Swedish pop goodness. They continue to display exquisite taste, bringing Brooklyn’s new-wave-y-with-a-dash-of-Future-Islands Nation of Language and LA’s sunny, synth-driven courtship. with them this time around. Do not sleep on either of those bands because they are excellent and you don’t even have to give me credit for telling you about them. 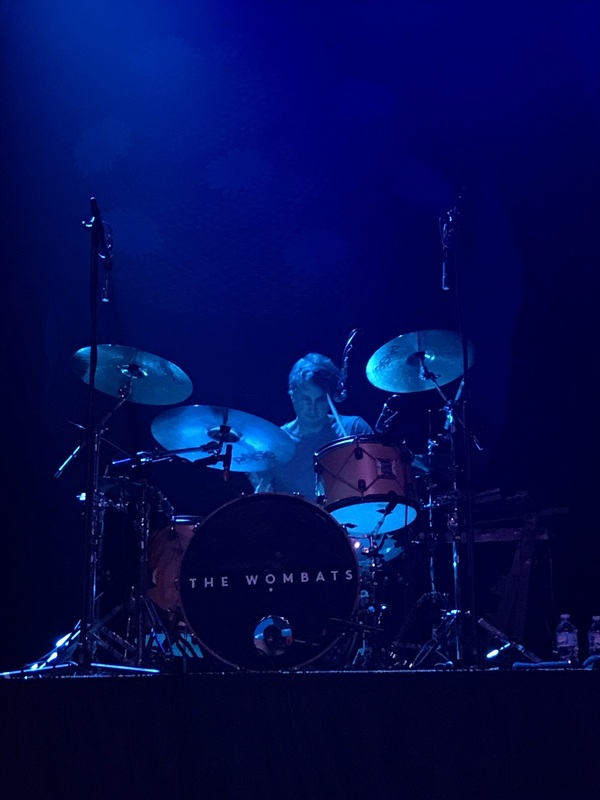 The Wombats kicked off their set with the brand new, like actually released this week, “Cheetah Tongue” and didn’t shy away from playing their new songs even a little. “Black Flamingo,” thus far unreleased, felt like that moment where you sigh before you put your shoes on anyway, and “Turn”’s Californian bro-via-Liverpool vibes kicked off the encore. To be honest, it wasn’t like you could tell the difference between 2018 material and 2007 material because the crowd still sang along to every word of every song all night, thank the Internets. I consider myself fortunate that I saw them approximately a thousand years ago (okay, it was in 2012 but still) because I am able to look at The Wombats Circa 2012 and The Wombats Of Actual Yesterday and see the distance between them. Sure, there have been endless print inches devoted to 2015’s Glitterbug and the Wombats’ supposed abrupt left turn into the darker side of town—which was always more a question of tone than anything to me—but the band that I watched five and a half years ago just… Bless their hearts but they just never could’ve never pulled off the sheer slink of “Emoticons” (introduced with completely straight-faced instructions to “get sexified”) or the wry resignation of the (as predicted right here) sublime “Greek Tragedy.” The seemingly unremarkable “The English Summer” crackled with a tension I hadn’t necessarily attributed to it before as Murphy stepped into the ring with his demons and Knudson gathered us in to watch. Even old favorites, like A Guide to Love, Loss and Desperation’s “Moving to New York” and “Here Comes the Anxiety” got all dolled up, the former with a, hand to God, speed intro and the latter with shimmery percussion flourishes courtesy of Dan Haggis on the drums and tambourine. Time and L.A. seem to have served them well.